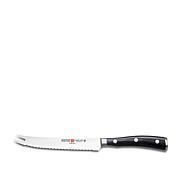 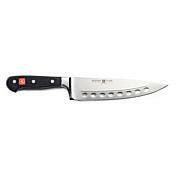 Good cooks always appreciate the right tools, and a sharp knife is a must have in the kitchen for chopping vegetables. 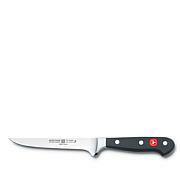 Made from specialized high carbon stain resistant alloy, this knife ensures a smooth, straight slice every time because the details are in the presentation. 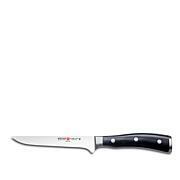 Distinctive bolster handle is triple-riveted for strength and provides a nonslip, comfortable grip?